At the same time, it’s not always more expensive to ship in a full container as compared to shipping in smaller volumes. Here is a look at FCL and LCL shipping and how they apply to imports from China. What Are FCL and LCL? FCL (Full Container Load) refers to a single container booked by a shipper to exclusively carry his or her cargo. It doesn’t matter how full the container is, if it’s booked under a single shipper as a single shipment, it is an FCL type shipment. LCL (Less than Container Load) on the other hand refers to cargo from different consignees, grouped in a single container. With LCL, importers can ship smaller volumes of cargo that aren’t large enough for FCL shipping. FCL is the cheapest method when cargo shipping from China, as long as your cargo volume is large enough. In fact, FCL offers lower price for every cubic meter as compared to LCL or air freight for equal quantities of cargo. It’s also highly secure and there are fewer risks of cargo damage because there are fewer stages in which the cargo is handled. Additionally, it’s easier with FCL shipping to make the most of the container space available by optimizing quantity and packaging. However, the problem with FCL is that it is only viable if your cargo volume is at least 15 cubic meters. LCL is nearly always more cost effective than transporting cargo by air, if time is not a factor. It is perfect for cargo that is too heavy for air but not large enough to make FCL viable. It’s also easier to make cargo inspections with LCL cargo. Further, packaging material costs are lower if the cargo has to be repackaged. However, the problem with LCL shipping is that the price is higher per cubic meter as compared to FCL shipping. Also, if your cargo volumes are over 15 cubic meters, LCL shipping is not viable because handling, loading, unloading and other costs go up per cubic meter as compared to FCL. It is clear then that LCL shipments and FCL shipments have their own place when businesses avail of cargo shipping from China. But if you want to ship via LCL, it is important to remember that not all Chinese sea freight companies offer high standards in packaging. Low quality packing during export can end up causing damage to the cargo. When you ship through FCL, you have the assurance of greater security since you’re not sharing container space with other shippers. You have greater control over the types of cargo you’re importing alongside delicate objects. To compensate for this lack of control in LCL shipping, you should ensure the freight services you’re shipping through is reputable. Your LCL shipments must be prepared and packed to be able to withstand sharp or heavy objects as well as chemical fumes or liquids. 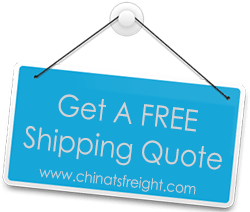 Always ship with a reliable Chinese freight company that will offer superior LCL shipment packaging to protect your cargo against these and other damaging elements.